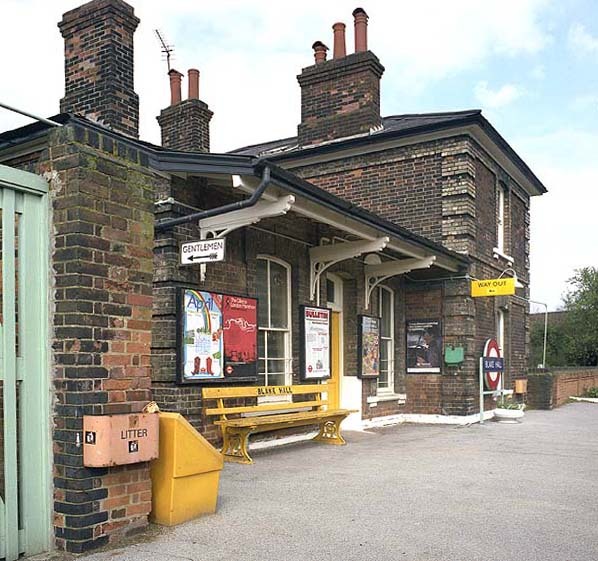 Location: Intermediate station on the branch line from Epping - Ongar. On the west side of Blake Hall Road. 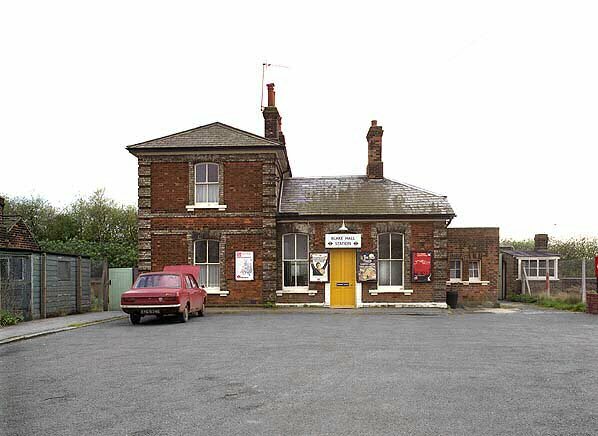 Present state: The platform was demolished after closure but the station building survives as a private dwelling. The platform was partially rebuilt in 2013. 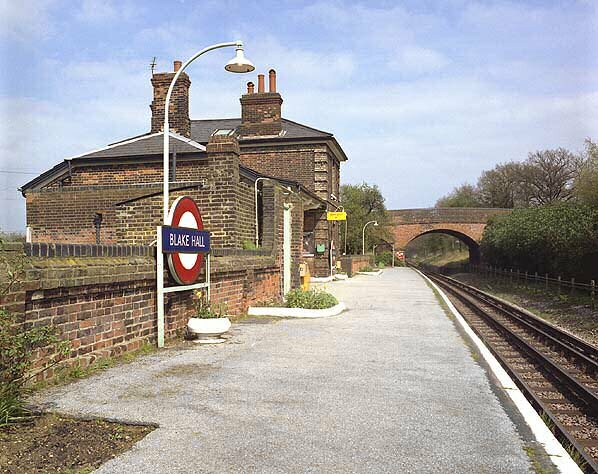 Notes: Blake Hall station was first opened by the Eastern Counties Railway on 1 April 1865, serving principally as a goods station taking agricultural produce from the nearby farms into central London. 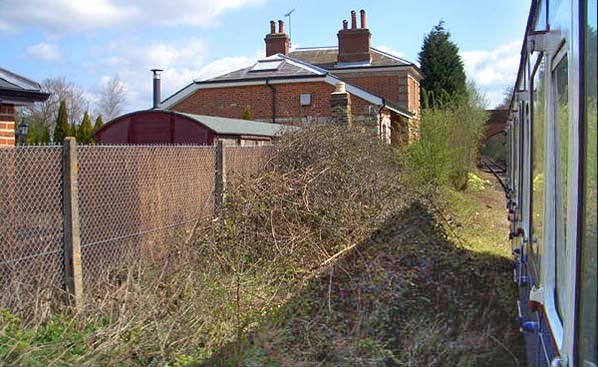 It was named after Blake Hall, a country house located a mile or so to the north east of the station in the village of Bobbingworth, and inhabited by a family of substantial local land owners. 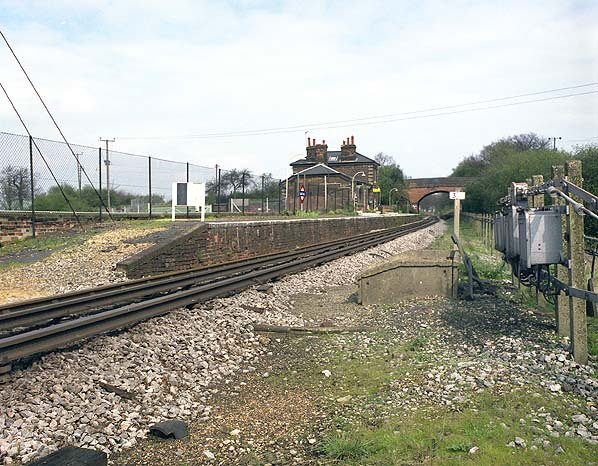 The station was built as part of the landlord's agreement to build a railway through his land. The Ongar branch was taken over by the London Passenger Transport Board as part of their 1935 New Works Plan to extend tube lines to the outer suburbs. 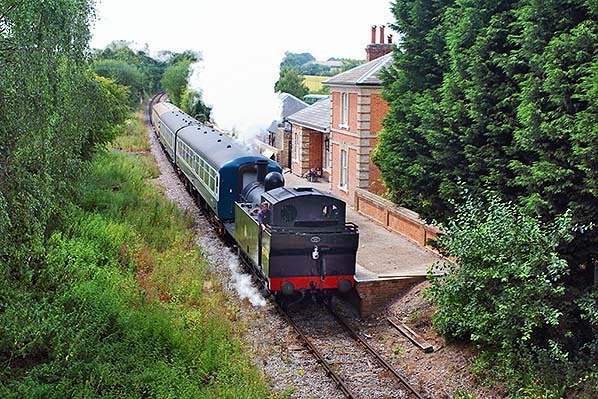 Initially steam locomotives operated by British Railways for the Underground ran a shuttle service from Epping to Ongar from 1949 to 1957, when the line was electrified and taken over by the Underground's Central Line. British Railways continued to run a freight service over the branch until 1966. 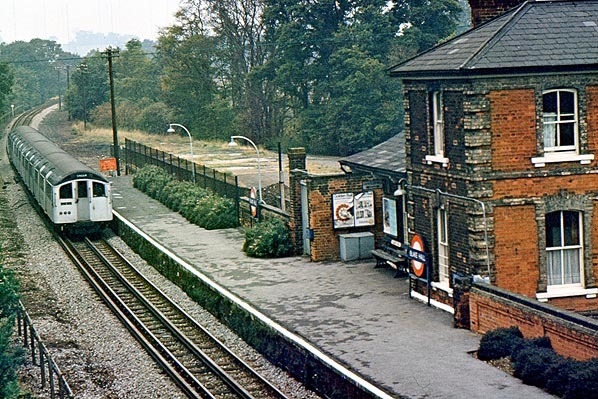 The station subsequently became known as the least used on the entire Underground (not surprisingly: fare subsidies provided on the rest of the underground system were not provided on this part of the line due to the failure of local government agencies for Essex and London to agree their respective public transport responsibilities, and Blake Hall station was located a considerable distance from any substantial settlement). By the time it was closed on 31 October 1981, the station was reported to have only seventeen passengers a day. 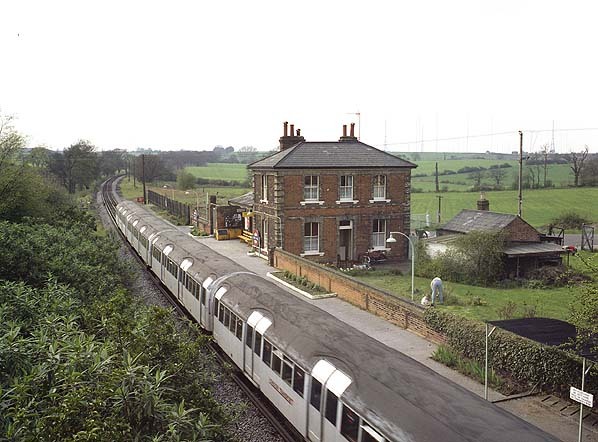 The entire Epping to Ongar branch was closed 13 years later, on 30 September 1994. 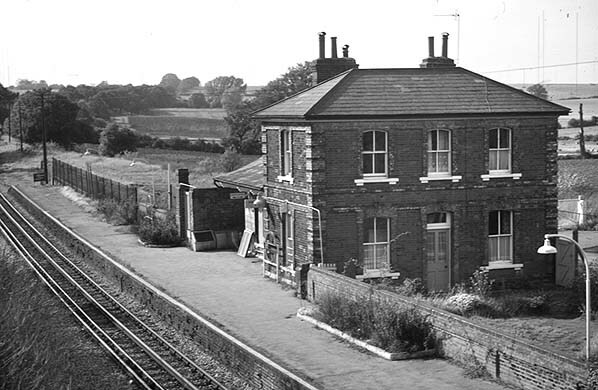 The station building still exists (it has since been converted into a private home), as does the now reopened line passing it; but the small coal depot at the western end of the station was closed in the early 1960s, soon after the line's electrification. and the passenger platform was demolished after closure but was partially rebuilt in 2013 by the present owner Roger Wright. It is intended for private use only and trains on the preserved line will not generally stop there. 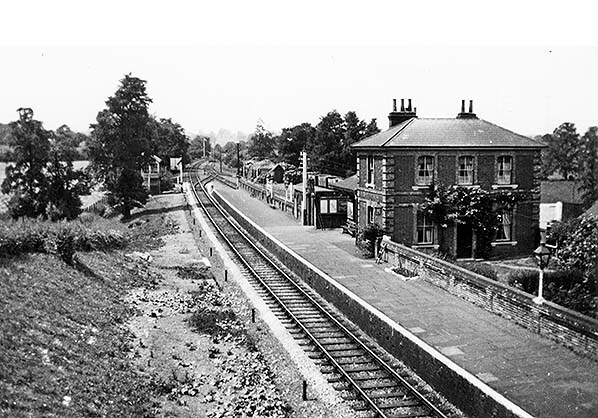 Blake Hall station looking west from Blakehall Road bridge in LNER days. 1896 1:2,500 OS map shows the layout of Blake Hall station and its small goods yard comprising two sidings running either side of a cattle dock. 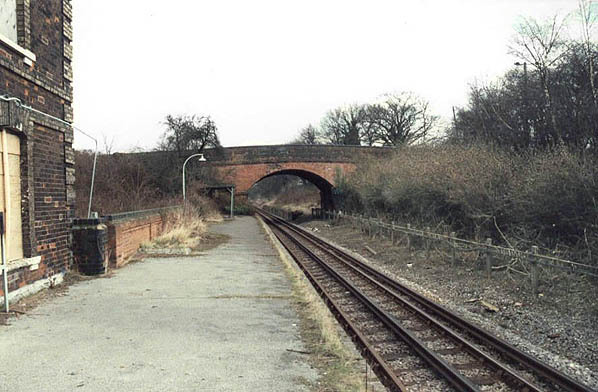 Blake Hall Station in April 1981. The goods dock can be seen on the left, this was closed in 1966. 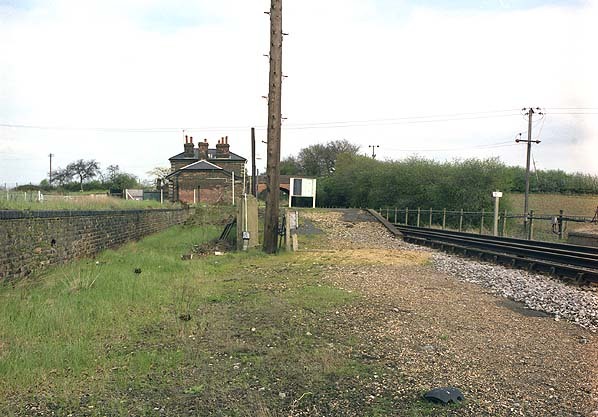 Blake Hall Station looking east at the demolished platform in October 2005. Note the van standing in the goods dock. Ex-LMS 3F 'jinty' 47406 is seen passing Blake Hall station on the Epping and Ongar railway in July 2014. The restored platform is seen on the right.